Would you love images to offer as Christmas presents, but don’t need a full portrait session right now? 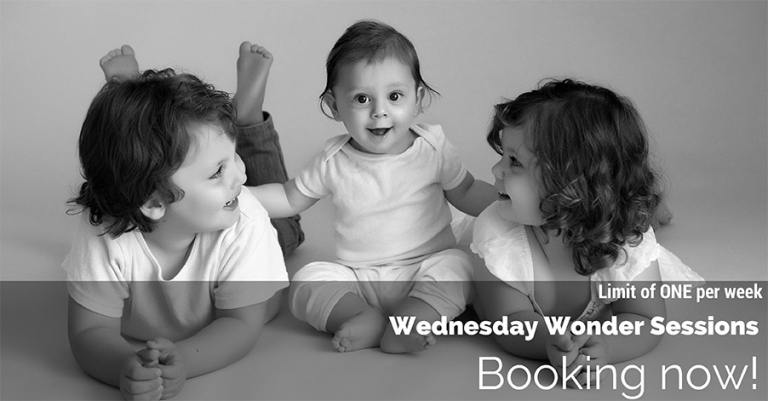 Do you require just a handful of family images to document your growing family? If so, our Wednesday Wonder Sessions may be for you. But be quick, we are offering just ONE per week. Sessions are 30 minutes duration on a Wednesday morning, and cost $350 inclusive of the session and 10 hi resolution files in both black and white and colour. Your session can be held at our studio, or a local park location and your images will be placed in an online gallery soon after for you to make your selections. All chosen files will be placed onto a USB for you to print at our recommended suppliers.